How does ECP / EECP therapy work? The ECP Therapy bed is a state-of-the-art therapeutic aid that safely, accurately and comfortably enhances blood flow, increasing the flow of oxygen and nutrients to all parts of your body. Benefitting your major organs such as the heart, brain, kidneys, liver and skin. 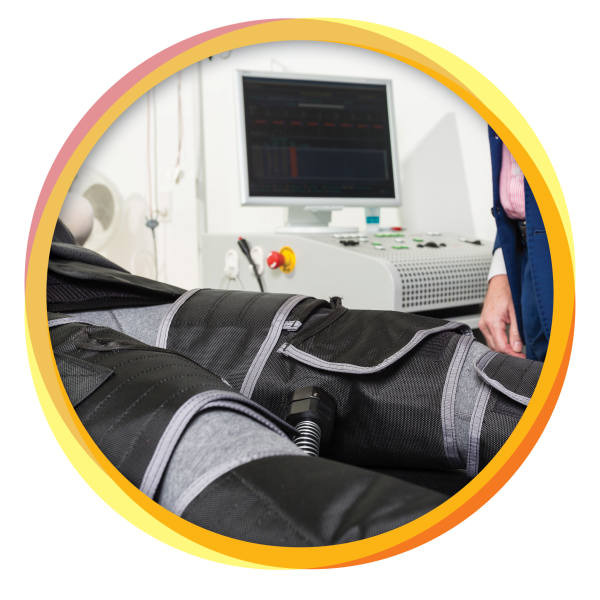 Once you’re lying comfortably on the therapy bed the therapist will fit you with a pulse monitor, and attach inflatable cuffs to your calves, thighs and hips. The cuffs are timed to inflate in sequence from the calves up to the hips, and then deflate. This rhythmic wave motion coincides with the beats of your heart, rapidly inflating and deflating between each beat, driving oxygenated blood around your body in much the same way as exercise would. The treatment session lasts an hour, during which you can read, listen to music or just relax. Who would have thought that lying on your back for an hour could be so beneficial?